As Indians lost their land, and their leaders, their lives forever changed as westward expansion continued. 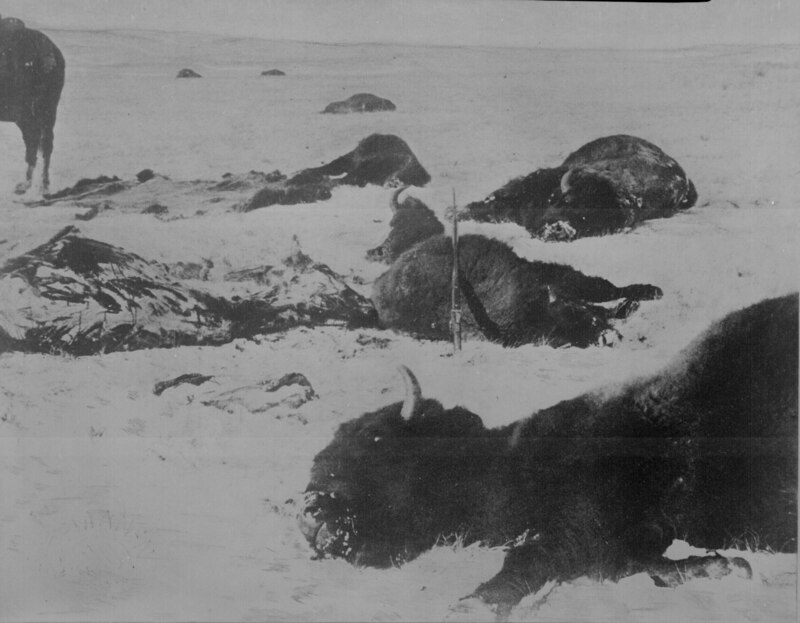 Buffalo, once so important to Native-Americans as a source of food and clothing, were slaughtered by the thousands as "hide hunters" replaced Indian braves on the plains. 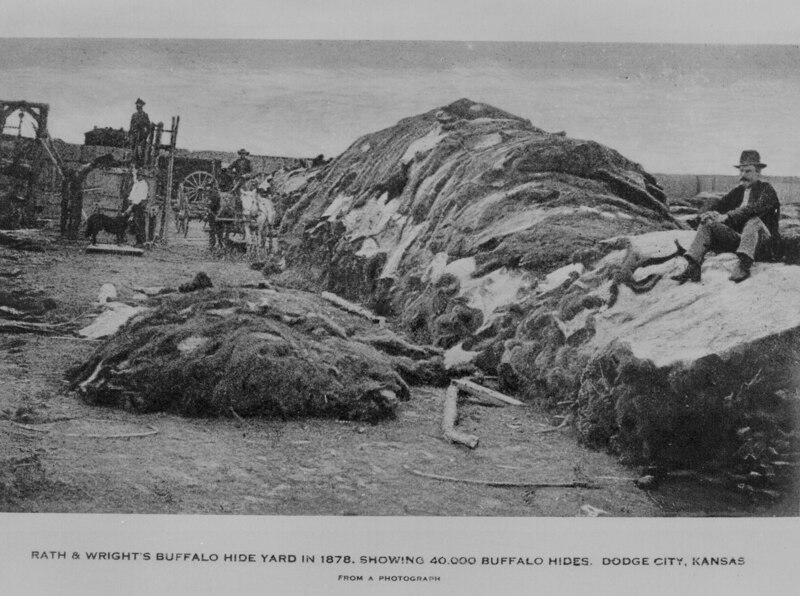 Kit Carson, who had once befriended the Navajo people, uprooted at least 9,000 of them and, in 1864, forced them to make "The Long Walk" to Bosque Redondo, desolate land in what is now New Mexico. Many, including elderly people and small children, died on the way. 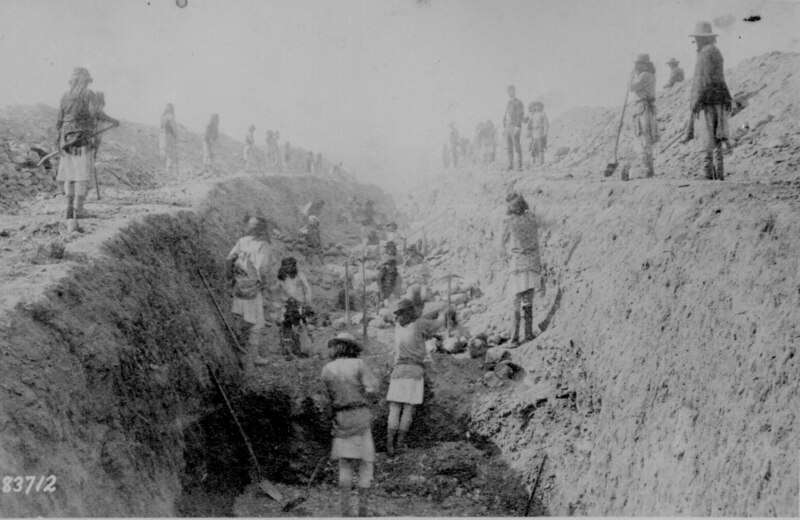 In the Arizona Territory, Indians dug irrigation ditches after they were relocated to parched lands. Many of those lands are still parched. Geronimo (the Apache medicine man) and his son (in matching shirts) were captured and sent to exile in Florida. 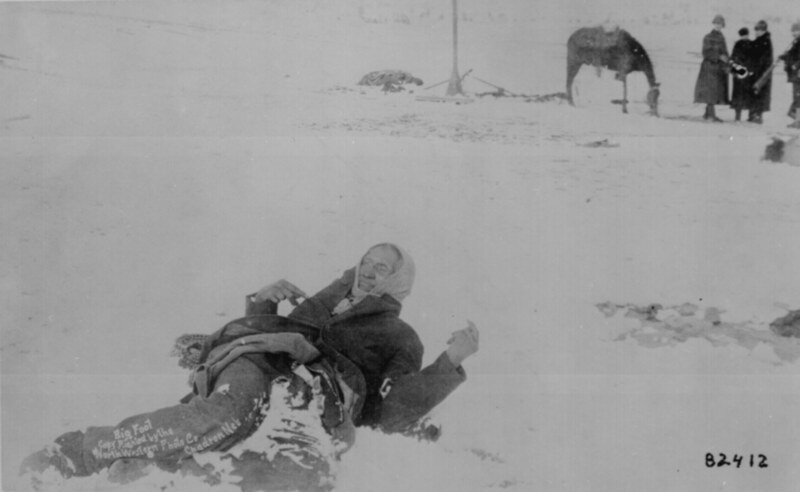 Big Foot (leader of the Sioux) died on the Wounded Knee battlefield (in 1890). The amount of land, lost by Native Americans, totaled around 1.5 billion acres between 1776 and 1887. Dr. Claudio Saunt, a professor at the University of Georgia, has created a time-lapse video depicting the impact of those losses on Native Americans over the years. A very great price was paid, after all, for so much free land. Bos, Carole "THE PRICE of FREE LAND" AwesomeStories.com. Aug 01, 2005. Apr 19, 2019.